Non-executive directors are demanding that companies do more to protect corporate reputations, according to new research released today by the Non-Executive Directors' Association (NEDA) and comms agency Infinite Global. The study, based on the views of NEDA’s membership, reveals two-thirds of NEDs think companies could do more to actively manage and protect their reputation. Some 90 per cent warn that recent years have seen firms face increasing scrutiny from the media, public and stakeholders. Yet one in four report that reputation is rarely on the agenda at board meetings, according to the report. However, this is set to change, with nine out of ten respondents expecting corporate reputation to become increasingly discussed at board meetings in the next five to 10 years. More needs to be done to prepare boards for this, with 30 per cent of NEDs admitting they felt only partially prepared to address reputational issues. Reflecting the shift towards more specific reporting, enabled by digital technology, more than half (57 per cent) believe that key corporate reputation metrics should be assessed and reported to the board on a monthly basis. Writing in the foreword to the report, Louis Cooper, NEDA chief executive, said: "NEDs can play a pivotal role in bringing their skills, experience and independent voice to the table. In particular, they should make sure strategic reputational risks are on the radar, whilst also ensuring there is line of sight over operational risks that could come back to haunt the company." He added: "Though the CEO and executive team have day-to-day responsibility for managing reputational risks, the NED needs to advise, support and challenge them to help protect and enhance corporate reputation, using their broader business experience." 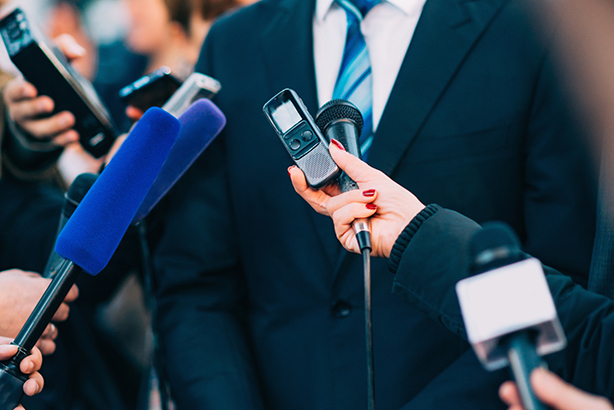 When it comes to seeking advice on reputational issues, PR companies are the top choice for NEDs, with 39 per cent choosing this option as their first port of call, compared to just 17 per cent who would seek advice from a trade body. Companies should take a holistic approach to dealing with issues relating to reputation, argues the report. It said: "Reputation management cannot be considered as a combination of carefully crafted press statements and corporate social responsibility box-ticking. From cyber breaches to supply chain responsibility and sustainability, reputation must be considered a valuable asset to be enhanced and defended in each dealing a company has with its stakeholders and broader ‘ecosystem." The report recommends that PR experience should be a "key criteria" when boards are looking for new NEDs. There also needs to be closer collaboration between professional bodies such as the PRCA, CIPR and NEDA, and the CBI, "to raise awareness of and share knowledge around the role of NEDs in reputation management." Another recommendation is for the PR sector to do more to encourage and train comms professionals to become NEDs, via awareness-raising campaigns and provision of professional training. Commenting on the report, Scott Addison, UK board director at Infinite Global, said: "Media, public and other stakeholder scrutiny of business is increasing. In this climate, and especially in times of reputational crisis, there is a real risk that companies retreat into the corporate bunker." He added: "The NED has a clear role to play in bringing an independent perspective to reputational issues, helping to challenge the status quo. Companies must leverage this clearly under-utilised asset wherever possible."